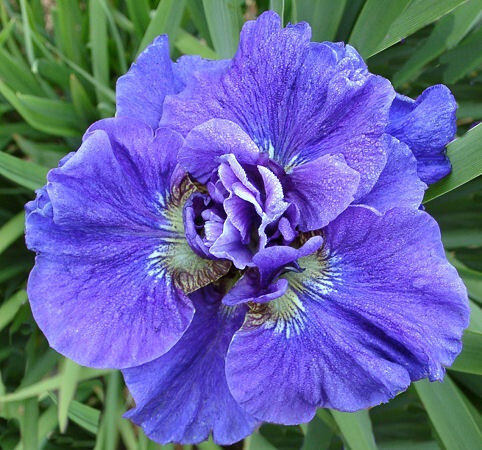 A Tetraploid multipetal Siberian iris. Midseason and Very Late, with a strong repeat bloom sequence a couple weeks after the first bloom. 12-15 petals of blue concord grape color with some violet “bloom”. Lots of color on these floriferous plants and strong blue-green foliage.